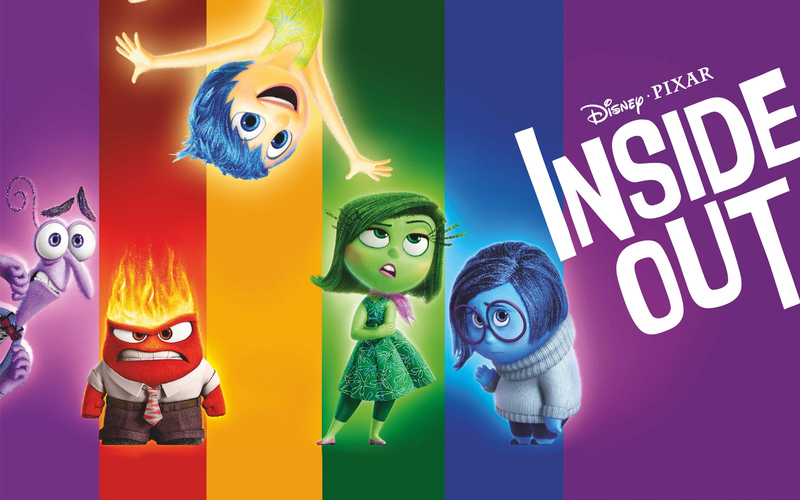 Inside Out movie has incredible amount of emotional lessons which we can definitely learn from. Everyone has different amounts of emotion. Particularly, I think Sad can be Empathy. She reserves sensitivity for others and for her own self-defense. If Sadness is too much, it will make a person self-centered. If less of Sadness, then other characters shall dominate. Some peoples have highest amount of Happy, making them a very jovial person when situation requires a little bit of sensitivity. Others may have Disgust more, making them skeptical human being at times. If Disgust is there too much, it will make the person narcissistic and stubborn like Trump, thus may not be able to enjoy life. Some person have Angry to be their dominant character which project Anger in ways that we can predict and in some cases, unpredictable. Meanwhile, Fear, if it is working with Sad and Disgust, will choose to hide behind curtain and no one know what is his/her depressing activity. But if Fear works with Happy, Fear can be a thrilling actor. At first, I thought Happy was the metaphor hero. At last, it was Sad that managed to encounter brutal reality which Happy and other characters were less suitable to face. Actually, there is no winning emotion in this movie. ‘Everyone’ play their parts accordingly. Emotion is a hormonal or biochemical drive, that derived from thoughts with action as end product. It is a deep-seated layer in us that no one else know, exist to protect us. Anger, Fear, Disgust, Happy and Sad are there to protect our sane, our intelligence insecurity, our well-being. Our feelings derived from our perspectives. If we regulate perspectives in our mind in the midst of unpleasing situation quickly, we feel better faster. Mental regulation is trainable. How to regulate the mind? Watch this video. “You gotta be healthy to recognize unhealthy” – Ellen Degeneres. Saya jumpa u di group fb kkwp tentang mssg.me. Thanksssss sgt2 sebab share sis… saya dah berjaya masukkan dalam blog berkat sharing tunjuk ajar u tu..Saya nak add sis di fb tapi butyon add fren tu takleh klik pulak kat phone saya ni 😭😭😭. Nama saya salwa. Citer inside out ni feveret saya sebab saya seorang anger + saddness + joy. Hihihi. Thanks sis. Jemput datang blog saya sis. Saya tak pandai blog. Nak buat blog tu bertahun baru siap. Tapi suka blogging. Harap sis sudi share tunjuk ajar. Terima kasih sangat2.